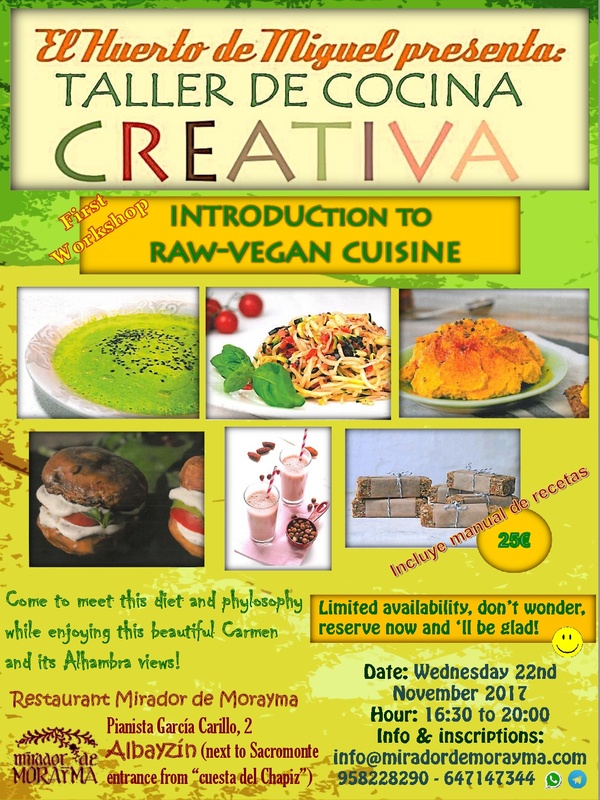 Introductory workshop on raw vegan cuisine, held on November 22, 2017 by Miguel, person of great knowledge on the subject, and big heart and wisdom. He taught us 9 recipes, from juices, patés and zucchini spaghetti, to vegetable milk and delicious desserts. Healthy and delicious elaborations!